Political Sociology deals with the question of how group membership and other social forces shape one’s view of the world and political behaviour. Comparative Politics addresses the question of how institutional, cultural, and other system-level factors can explain differences between countries with respect to political processes and outcomes. Comparative Political Sociology is a natural extension of these two approaches. Most of my own comparative research is micro-quantitative. It is based on micro data on attitudes and political behaviour (mostly voting behaviour). Where possible, I’m trying to take account of the social, spatial, political, and economic context that affect the political behaviour of groups and individuals. In many cases, multi-level modelling is a very useful tool for this kind of analysis. In some ways, Germany’s unification can be seen as a field experiment (with no controls). Three decades after the end of the GDR, economic, social and political conditions in both parts of Germany still differ markedly, and so do attitudes and behaviour. I have published widely (mostly in German) on intra-German differences. Two examples are my analyses of the impact of regional differences on the result of the 2009 Bundestag election and the regional patterns in the 2013 Bundestag election that were published in the “Wahlen und Wähler” series of election studies. A similar contribution on the 2017 election is under way. A more conceptual chapter looks into the problems and possibilities of comparative electoral research. In separate work, I study the diverging attitudes of Germans in the East and in the West towards the welfare state as well as differences in value orientations between Western Europe on the one hand and Central and Eastern Europe on the other. 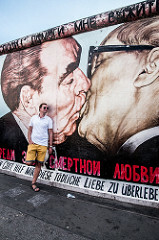 In an English-language article that was published in German Politics, I take a longitudinal perspective to demonstrate how both the levels and the trends of partisanship differ between the former West Germany and the territory of the former GDR. This is an extension of an older contribution on the decline of partisanship in Germany. Together with Harald Schoen, I have also looked at individual-level stability of party identification in Germany (in German) and in the UK, where stability of partisanship amongst the politically interested is higher than previously thought. Most of my work looks into the impact of contextual factors (broadly defined) on voting behaviour in Western Europe. I’m particularly interested in Radical Right voting. I’m also trying to locate Germany’s newish Alternative for Germany party within the broader context of European Far Right parties and their voters. Apart from this comparative work, I have also published extensively on voting behaviour in Germany, France, and the UK. Together with Jocelyn Evans, I have edited a reader on classics in voting behaviour that was published by Sage. 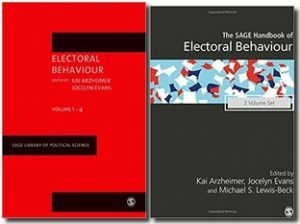 More recently, we teamed up with Michael Lewis-Beck to edit the seriously cool Handbook of Electoral Behaviour (also published by Sage). Although not a subdomain of Comparative Politics proper, the availability of subnational data in Europe has opened up a whole host of exciting possibilities. 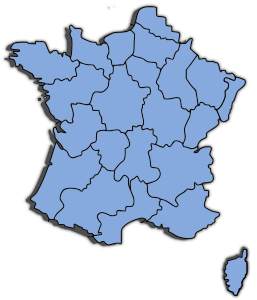 In previous work, Liz Carter and I pointed out some of the potential problems in an article on the perils of subnational analyses in France. Remaining in France, Jocelyn Evans and I have tried to predict French legislative elections at the departemental level. More recently, I was lucky to be one of the PIs on a big comparative project that looks into the connection between local living conditions and radical right-wing attitudes. I don’t think that turnout is (directly) affected by inequality. Seriously not.